Just over five weeks ago I like many other Everton fans wanted Marco Silva gone. We had lost four out of our last five games in the Premier League and had just been dumped out the F.A Cup by Millwall. 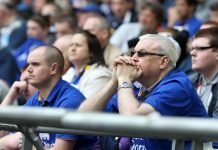 During this period majority shareholder Farhad Moshiri gave Silva his backing and stated he was sticking with him for the long-term although admitted at the clubs AGM meeting that the league position wasn’t good enough. Things have improved a lot since as yesterday’s 2-0 home win against Chelsea proved. It was the third time in the last four games that Everton had kept a clean sheet – something they had only managed to do six times in the previous 27. The Blues have also scored atleast two goals in three of those games. Although at times we still look vulnerable at the back there is certainly a more solid base to the team now and aslong as we stay in games we certainly have the attacking quality to cause any team problems. Silva also seems to have found the solution to Everton’s forward options even if it is just temporary with Dominic Calvert-Lewin. The 22-year-old has struggled for real consistency since joining the Blues and didn’t seem to be progressing as we had hoped. Silva now seems to be getting the best out of him and his performances over the last four games have been impressive and he finally looks ready to take the next step. Players like Gomes, Sigurdsson, Bernard and Richarlison also seem to be getting better after having dips in form. Richarlison has netted in each of Everton’s last two games and is slowly working his way back. Gomes has started the last two games after being left out of the previous two and whilst it’s safe to say he isn’t back to the level he was at the start of the season his performances are improving and it will be interesting to see if the club decide to make his loan move more permanent. 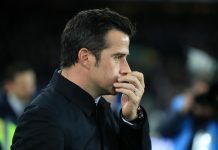 Silva has to been given credit for the way he’s turned the clubs fortunes around of late. There is still a lot of work to be done but he certainly deserves a bit of time now and he has shown that he can get the best out of this group of players – they just need to do it every week. With all the talk of a new manager gone (atleast for now) it’s important the Blues end the season strongly and with three of the remaining seven games against Arsenal, Man Utd and Tottenham we will certainly be tested. The future of some Everton players may hinge on the last few games so there is definitely still a lot to play for. 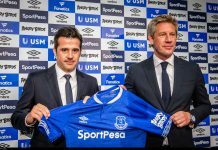 With what is likely to be a busy summer ahead for both Silva and Brands with plenty of ins and outs all Everton fans will be hoping for a repeat of last summer and some of the quality additions made. If the clubs hierarchy can once again improve the squad with real quality there is no reason the Blues can’t challenge for the top six or maybe even higher and finally end the long wait for a trophy. The man who signs off on these deals – Farhad Moshiri is certainly not blameless in all that has happened over the last couple of seasons and he has come in for his fair share of criticism with millions of pounds wasted on players and managers. 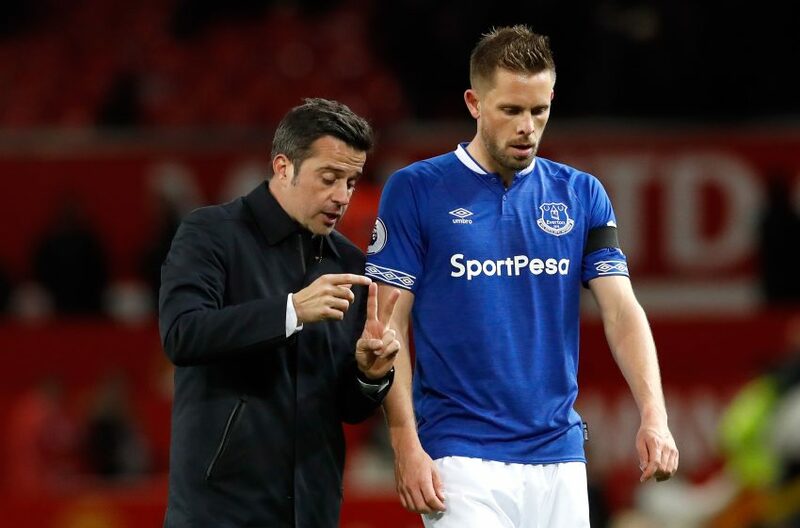 His decision to stick with Silva however when it would of been easy to sack him may just be his best yet and one that could be a turning point in the future of Everton Football Club. Next articleCould Calvert-Lewin Be Everton’s Long-Term Striking Solution? With hearts and minds lost and confidence at rock bottom, is there any way back for Marco Silva?